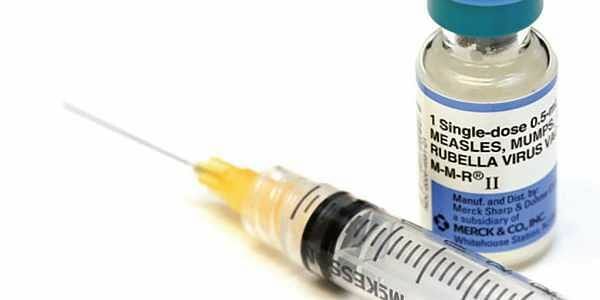 BHUBANESWAR: The State has achieved 45 percent of the target in the ongoing Measles-Rubella (MR) vaccination campaign in only six days. As many as 50,54,624 children of the target 1,12,25,176 children, have been vaccinated in schools across the State in less than a week. The five-week MR vaccination drive which started from January 29, will cover children between 9 months and 15 years, said State Immunisation Officer Dr KK Das said it is a great achievement as of The Health Department has chalked out plans to continue the drive for two weeks each in schools and community level while the left out children will be targeted for vaccination on the fifth week. Vaccination in schools will continue till February 17 and the window for community-level vaccination is February 19 to March 16, during which children can be administered the vaccine in all district headquarters hospitals, CHCs, PHCs and sub-centres besides the temporarily set up kiosks at Anganwadi centres, community centres and some earmarked places. “Nearly 6,900 women health workers and 47,000 Asha workers have been engaged along with other health staff for the drive. If the campaign continues in a similar pace, we hope the target of 100 percent can be achieved,” Dr Das said.While measles is one of the important causes of death in children, rubella though a mild infection, has serious consequences if infection occurs in pregnant women, causing congenital rubella syndrome. Urging parents not to believe in rumours of children falling sick due to vaccination, Director of Health Services Dr Braja Kishore Brahma said the vaccine is tested and safe. “It has no side effect. Some children may suffer from slight fever, but it will not harm them. The vaccine is a must for children to keep the deadly MR at bay,” he said. So far nearly 6.7 crore children have been vaccinated in 13 States in two phases and Odisha has been included along with 11 other States in the third phase.On allegations of a 12-year-old girl of Jharsuguda district succumbing a week after taking the vaccine, Dr Brahma clarified that the child had died of diarrhoea and it was not related to vaccination. Anju Kisan, a Class-VII student of Banjari Sevashram School was administered the vaccine along with 182 other students on January 29. There is no complaint from others, he added.